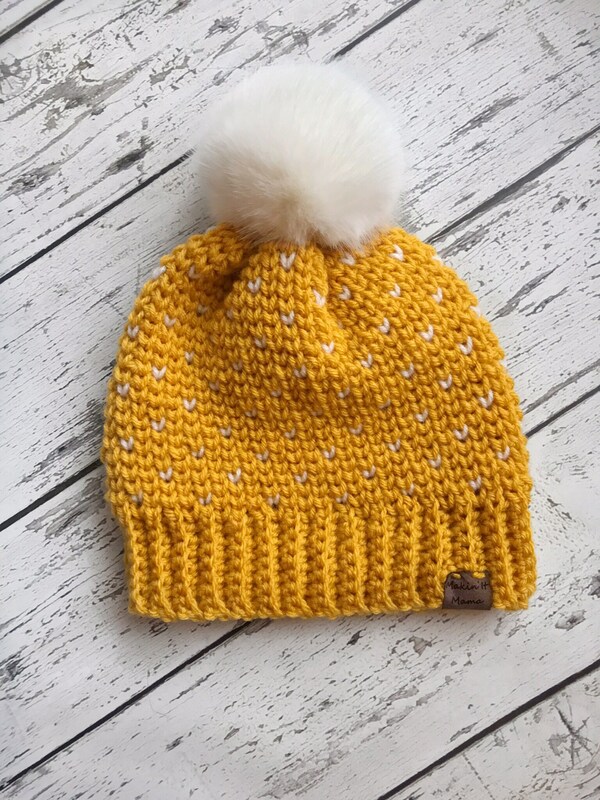 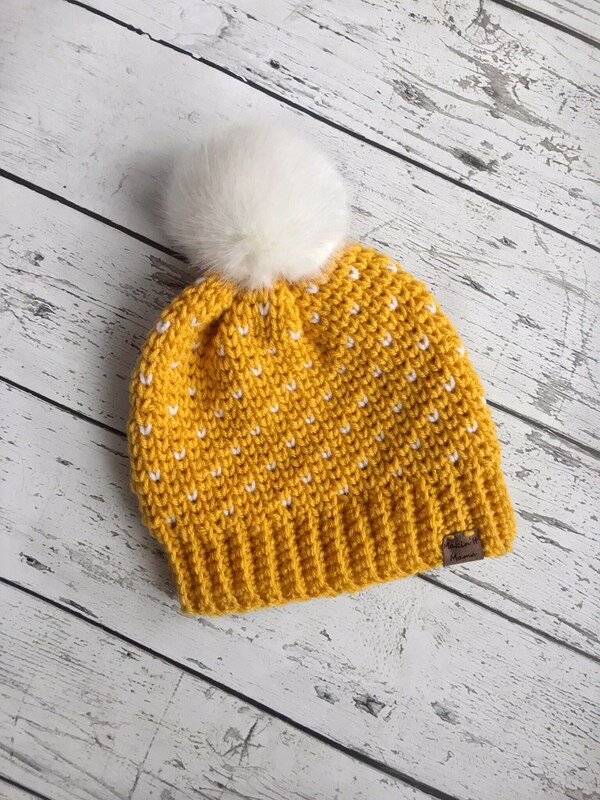 This crocheted Fair Isle hat is the must have hat for everyone! 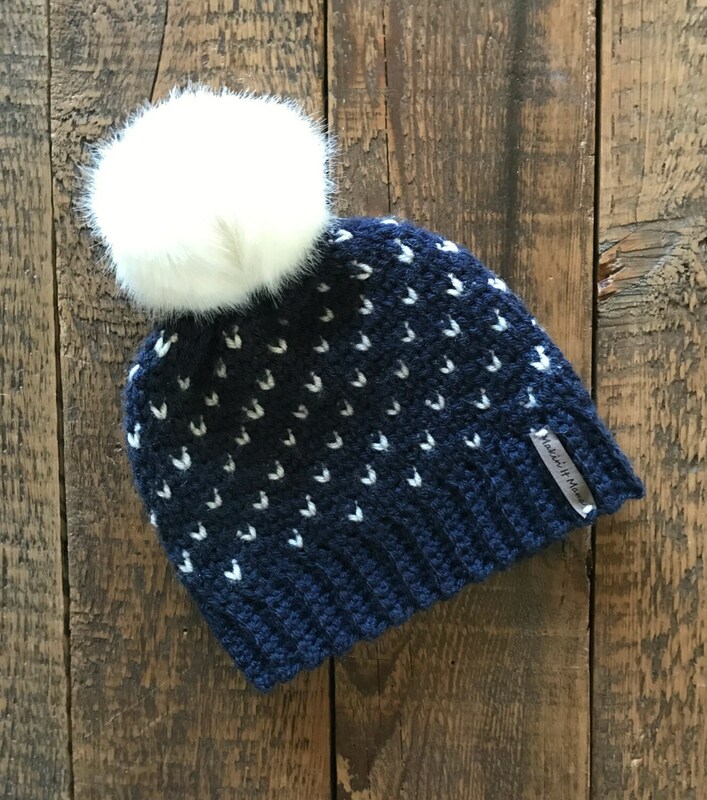 Topped with a faux fur pom and crocheted in the fair isle pattern, it is super cozy, warm, and fashionable! 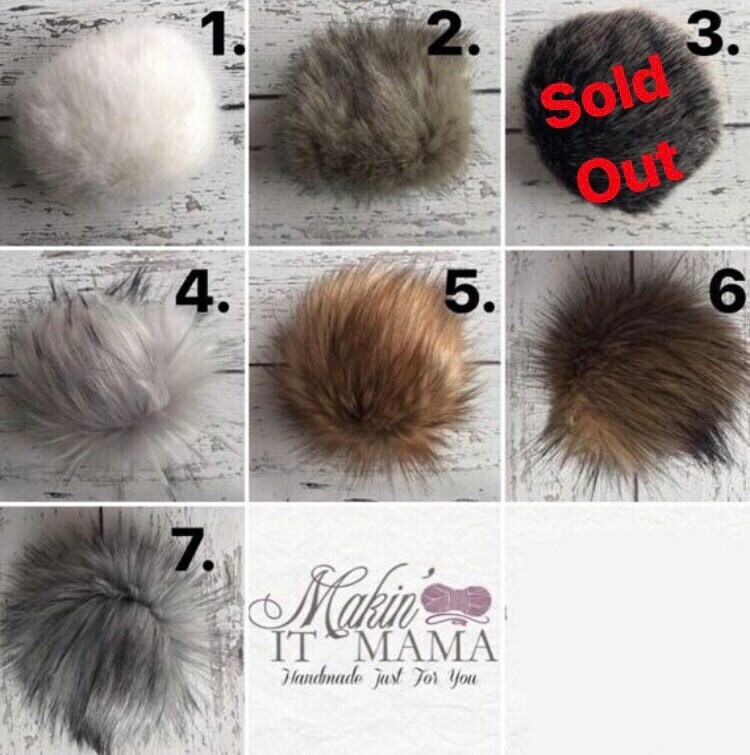 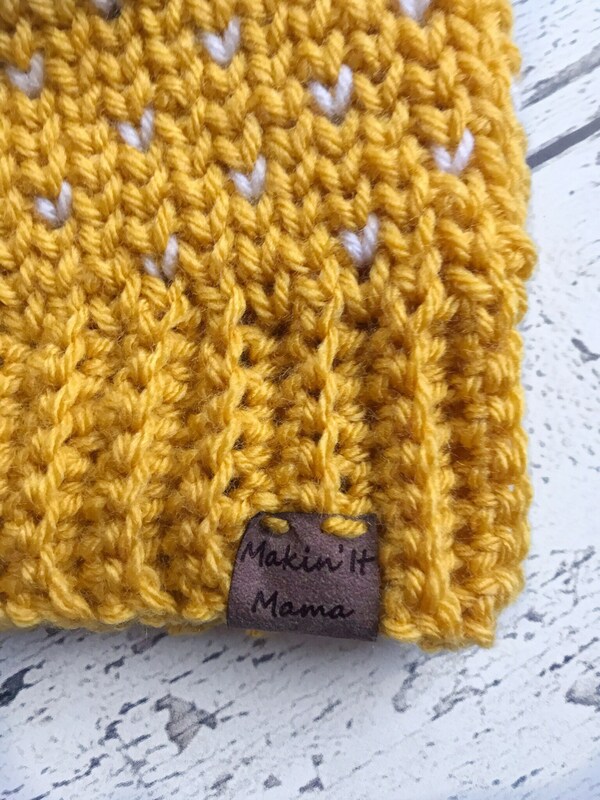 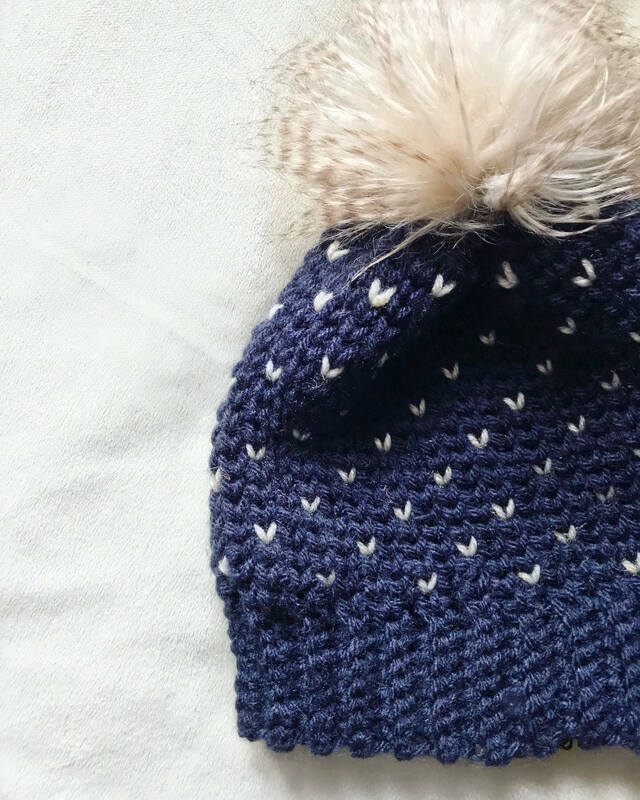 This hat has tons of textured and can be made with 2 colors of your choice!